All platforms with Adobe AIR: Free desktop application GMDesk provides quick access to Google services in a standalone window separate from your browser. GMDesk separates Gmail, Google Reader, Google Calendar, Google Docs, and Google Maps from the rest of your web browsing, and provides keyboard shortcuts to switch between them (Ctrl+ or Cmd+1 through 6). You can't install browser add-ons like Better Gmail or Better GReader in GMDesk, and currently it displays too-small text in Gmail (though the developer is working on a fix for that). 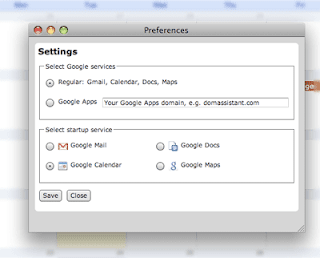 Ultimately GMDesk doesn't offer many features that make it worth using (or much better than apps like Prism or Fluid), but it raises the question: If Google released native desktop apps like Picasa for Gmail, Google Calendar, Google Reader, and Google Docs, would you use them? Until they do (which may be never), GMDesk is a free download and requires Adobe AIR to run. Go to Adobe's web site and download Adobe AIR. Download the latest version of GMDesk, and install it. The BlackBerry application marketplace might not be as easy to navigate at Apple’s App Store and Java might not be as much fun as Cocoa Touch for developers, but there are still some great BlackBerry applications out there. 1. Opera Mini -- BlackBerry 4.5 is supposed to have a much-improved built-in browser (my carrier hasn't officially upgraded yet, so I'm unsure), but Opera Mini is a great alternative. It isn't as fast as the built-in browser and functionality like copy/paste isn't as nicely integrated, but you can actually view pages the way they look on a regular computer (more or less) and zoom in on parts of the screen for easy access. If you ever want to post a comment to a blog or fill out another big text field, Opera Mini is the way to go. 2. Flickr -- This official BlackBerry client was released in June and beats the pants off of uploading via e-mail. You can go straight to the camera from the Flick app or choose a photo from your media card or one of your media directories. 3. Facebook -- Update your status, read your messages, post messages to your friends walls and send pictures directly to your photo page. It's pretty slick. 4. NewsGator Go! -- Some people just love Google Reader. I am not one of these people. On the desktop, I use NetNewsWire, on my BlackBerry, I use NewsGator Go!. Like all the NewsGator products, its free. Sign up for a free NewsGator Online account or link it with your existing account. What's so nice about the NewsGator family of products is that they all sync together. So if you use FeedDemon on a PC or NetNewsWire on the Mac, you can access all of your feeds from any other computer just using NewsGator's web reader (which I think is 100x better than Google Reader). 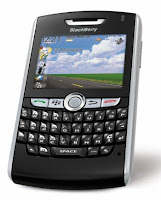 That also means that you can access all your feeds on your BlackBerry. And anything you mark as read on one device, shows up as read on the others. 5. Blackbird -- I used to use Twitterberry to update my Twitter status from my phone, but now I've switched to Blackbird. The interface is cleaner and it feels faster. I miss the user icon pictures from Twitterberry, this is still my favorite way of using Twitter. 6. BBMetaBlog -- iPhone users have access to official WordPress and TypePad blog clients and more than one unofficial Tumblr clients, but BlackBerry users, we've been all but forgotten in the world of moblogging software. TypePad users can use TypePad Mobile BlackBerry and Blogger users can use Blogger for BlackBerry, but what about people who use XML-RPC based blogs? BBMetaBlog is not perfect -- it was designed to interface with a custom blog-engine for Lotus Domino, not for WordPress or Movable Type or any other system that uses the MetaWeblog API implementation of XML-RPC -- but it works. Just set your access URL to your XMLRPC URI and you're set! Categories and tagging doesn't work, but it's a better alternative to e-mail and it can be faster than trying to post with Opera Mini. 7.Google Suite -- Google's Mobile tools for BlackBerry are awesome. The Gmail app is fast, the Google News page is easy to navigate and Google's mobile mapping tool is the best! Even if you don't have GPS, you can have GPS-like functionality on your phone. Google Sync for BlackBerry keeps your BlackBerry calendar synced up with Google Calendar, and it's a two way sync -- which is always great. 8.Sudoku -- The unregistered version won't let you download daily new puzzles, but still comes with a couple of hundred at three difficulty levels. If you've mastered Brick Breaker (or Brick Breaker has mastered you), it's a great way to kill some time. 9. Mobile Quotes and Analysis for BlackBerry -- Even though the quotes are time-delayed (I want a Google Finance BlackBerry app -- not just a web page, an app! ), this is a fast, free way to keep track of the market. 10.TV Guide Mobile -- An oldie, but a goodie! Local TV-listings in your pocket. 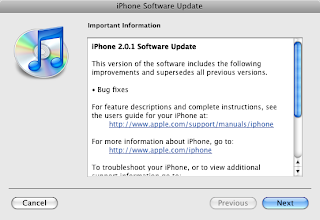 Arguably one of the best things to come out of the iPhone 2.0 firmware update, as well as the launch of the iPhone 3G, is the ability for the iPhone to install third-party applications directly to the phone via the App Store. Well, Google's new Android OS will also support such a service in the form of the Android Market. As Google announced on Thursday, the Android Market is an online marketplace that will let you find, buy, download, and rate applications (which sounds eerily similar to the iPhone App Store). And, as you can see from the example screen shots, it appears that applications like a ringtone editor, a talking compass, and a barcode scanner, are already in the works. This brings up the question of the kind of applications we would want for the Android phone. Access to Google apps like Google Calendar, Google Docs, and Google Reader is a given (we assume), so that leaves the door wide open for more innovative applications. We would personally love to see a multi-IM client, and an Android equivalent of the iPhone's song-identification apps like Shazam would be nice, too. One thing we would really love is turn-by-turn directions, which the iPhone currently lacks. We all know that we are not all safe online becaue anybody can track our IP ADDRESS & can play Games with us.Do u know that by knowing the IP ADDRESS He/She can operate Your system through DOS. So friends safe gaurd your IP ADDRES & surf anonymously. This will not only hide ur IP ADDRESS but acts an Anti-Spyware,protect from Nyms..
Click on Below Link & Download the Software, Install the Software on your computer. Your IP address, IP address country,IP address state, IP address city, IP address latitude, IP address longitude, ISP of this IP, Proxy, Organization, Local Time of this IP country. PowerPoint allows you to add sound to your presentation in several different ways. You can do this using a sound file on your computer, choose from hundreds of sounds available through the clip organizer, or play tracks from an audio CD. Do you want the music to play through the entire presentation? Or would you prefer the music only to play on one slide? PowerPoint not only allows you to use sound, but allows you to customize sound options so you can play the sounds you want, the way that you want. In this lesson, you will learn how to insert sound from three sources and how to set various sound options. Effective 20 August 2008, customers traveling on American’s Boeing 767-200 aircraft can access complete coast-to-coast coverage on nonstop flights between New York and San Francisco, New York and Los Angeles, and New York and Miami. American, the world’s largest airline and founding member of the oneworld® Alliance, and Aircell, the world’s leading provider of airborne communications, have joined together to bring the first full inflight broadband service to the U.S. market. Aircell’s Gogo will be available to customers as a fee-based service in all cabins. Aircell will charge $12.95 on flights more than three hours, which include American’s Boeing 767-200 flights. Each paid Gogo session includes full Internet access. Cell phone and Voice over Internet Protocol (VOIP) services are not available. Gogo turns an American Airlines flight into a Wi-Fi hotspot, enabling passengers to surf the Web, check any email, Instant Message, access a corporate VPN, and more. 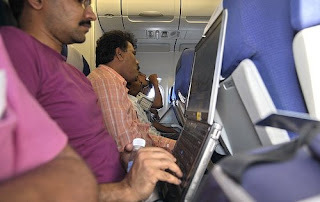 Once the aircraft has reached 10,000 feet, users can simply turn on their Wi-Fi enabled devices such as laptops, smartphones and PDAs, open their browsers and be directed to the Gogo portal page where they sign up and begin surfing. Gogo is powered by the Aircell air-to-ground (ATG) Broadband System, which runs over Aircell’s exclusive nationwide network. Finally six months after its launch, Yahoo! Buzz is now open to the public. The announcement follows several months of beta testing the service to selected sites, including the SE Journal. Yahoo claims that Buzz now has around 5 million users and sites which were selected to implement the content voting system has indicated increase in traffic since they embed the Buzz button on their site. With the good feedback coming from early adopters, it is but logical that Yahoo opens up its Yahoo Buzz to the public. And it looks like Digg has got some competition now in the site voting niche. Although Digg has been around for quite some time now and most of us are already accustomed to the Digg culture, Yahoo Buzz though poses one advantage. And that is, content being buzzed up can be easily featured on Yahoo search page. To embed the Yahoo Buzz button on your page, just head on to the Yahoo Buzz code site and choose the Buzz widget that you would like to put in your respective sites. The Adobe (formerly Macromedia) Flash Player allows you to view interactive web content like Youtube, games, business presentations, entertainment and those things we all adore so much - advertisements. The package includes only the Flash Player and is a stand alone installation. You can download the file to install at a later date or use it to reinstall the player on a fresh version of Windows. The single download package makes it much easier to troubleshoot problems and you don't have to go through the active download process each time you need to install the player. Technically, this is a Flash Player ActiveX Control. It will only play the file through your Web browser (Internet Explorer). If you want to view downloaded flash and shockwave content at another time, you will need the Shockwave and Flash Player (Complete Standalone Installer). Note: this version is for Internet Explorer only. Here’s some great online activity for kids. Today’s site, www.free-coloring-pages.com, provides a bunch of printable colouring pages for children, and printable games such as connect the dots, mazes, etc. The portal also hosts browser-based e-templates for colouring, and online games such as tic-tac-toe and word search. All in all, a great site to let your kid go wild. Microsoft’s new Web tool, dubbed Photosynth, gives viewers a zippy and cool way to share their photos online. A freely downloadable software crunches images, looking for pixels that are the same in each photo, and stitches them together into a panoramic scene, called a synth. The synth shows one photo clearly at a time, while adjacent images appear faded, and others less closely related to the photo in focus are indicated with a ghostly scatter of pixels. Viewers can zoom in and out, and pan left and right through the scene created by over-lapping many different views of the same place or object. And yes, the whole thing can be easily embedded into other sites, such as blogs. Try it out! 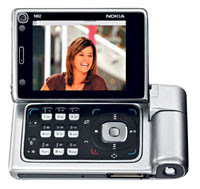 Nokia is launching a pre-booking scheme on - 20th August 2008, across its outlets in India. With iphones being made available from 22 August, Nokia seems to be in a competitive mood. Nokia N96 will be available in the Indian stores, from September.Though Nokia is yet to officially confirm the price of N96 in India, it is expected to be around Rs. 30, 000.Probably Nokia is waiting for the iphone prices to be announced by both Vodafone and Airtel.Vodafone has already come out with its prices for iphone. 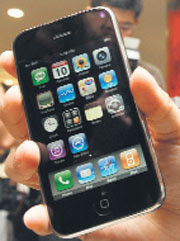 Apple’s iPhone 3G will be available in 8GB and 16GB at Rs 31,000 and Rs 36,100 respectively. Will nokia N96 be priced competitively? 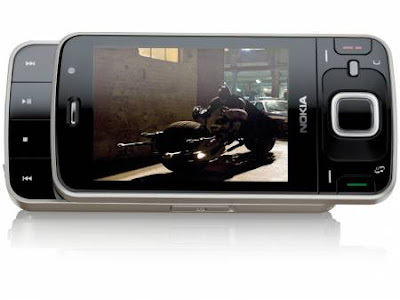 With 24GB memory in Nokia N96, one can store up to 18K songs, images of 5 mega pixels up to 20K and video up to 60 hours i.e. equivalent to 20 full length movies. With multifunctional media keys and a 2.8 inch screen, music, movies and games would be available at the touch of a button. Nokia N96 would also come preloaded with “Wave Secure” security application that allows users, not just to track the handset in the event it is lost or stolen, but also create a back-up for the phone data through the internet.This is an application that is exclusively made available in India !!! Nokia N96 supports the Ovi family of Nokia internet services, including maps, entertainment and media sharing.Users can also explore the world through navigation and the nokia Maps 2.0 application.Nokia N96 is also equipped with a 5 mega pixel camera with Carl Zeiss optics, a dual LED flash and video light.Nokia N96 also allows DVD-like quality video capture at 30 frames per second. 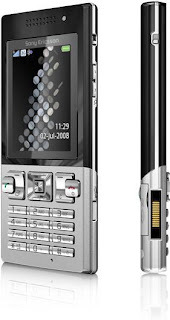 Nokia N96 seem to be in a competitive mood and is willing to take on the challenge to Apple and its iphone. This competition will definitely be good for the Indian consumers.Based on price and features and goodness of phone, will the price conscious Indian consumers decide iphone or nokia N96 as the best? We will have to wait and see. Let the best phone win!!! Learning a new language just became fun, easy and free. palabea.net is an e-learning platform and social community that presents new opportunities to learn and practice foreign languages. It offers a wide range of tools and technologies to support its users with their learning process and allows people from different countries to communicate and collaborate while practicing languages and to learn about their different cultures. Globalization brought the need to learn and respect cultural diversity. To obtain a dialogue between people of different countries, the knowledge of languages is essential, as it is part of a countries culture and traditions. Some of the major obstacles to learn a foreign language are lack of motivation, time and high costs. With palabea, anyone can explore new possibilities to learn a foreign language and communicate with people around the world, without leaving their home. information to be added as the portal grows. the page and doesn't require users to download an extra application. ● Play teacher and assist others in learning their native language, allowing for new ways in collaborative learning. ● Generate their own content, as individuals or a group. People can present themselves with information, pictures/videos…etc. Yet another online status checker. Yahoo Status Check allows you to detect status of your Yahoo Messenger buddies. I personally tried the script and it showed invisible users as well. If you want to track the status of your buddies, I suggest to you try Yahoo Tracker. The good news is you can easily make your Blogger site unique just by changing or adding a header image. Usually that move alone will make your blog stand out from the crowd (as well as customizing your sidebar widgets). 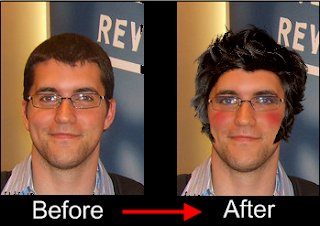 So here’s a couple header image sites I’d like to recommend to help you dress up and personalize your blog. 45 Free Beautiful Blog Headers - This is a great list compiled by Smashing Magazine. Some of the headers include the .psd source files so you can really customize the header if you’ve got Photoshop experience. Free Webpage Headers - A very nice collection of hundreds of 800 x 200 website headers which can easily be used for Blogger. Images are organized by category which makes it much easier to find what you’re looking for. Dreamstime - This is actually a pay for image site but they have a free images section you can benefit from. Click on the “Free Images” tab once you get to their home page. stock.xchng - By looking at the name of their site you wouldn’t think it was any good but looks can be deceiving. They’ve got thousands of free images that would work for your blog header or for inserting them into a blog post. Stock Vault - This free image site is dubbed the stock photo sharing website where designers and photographers can meet to share their images. Decent selection and more targeted towards designers but you might be able to find some goodies for your blog. FreeFoto - This last one is a bonus since the list was only supposed to be 5. It’s a pretty good site where you can find all sorts of images for your blog header, etc. Her worries are not just about children wasting time on the Internet - it’s more about the activities that children are doing on these sites. She is concerned that children could be interacting with complete strangers (or online predators) and even sharing personal information. Yeah, and you thought the current bumper crop of 5-megapixel camera phones was impressive. 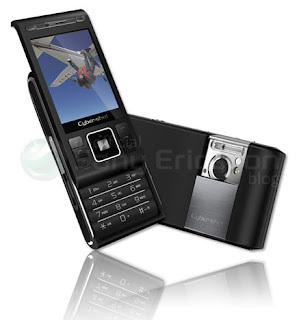 According to the Unoffical Sony Ericsson Blog, SE is getting ready to unleash this 8.1 megapixel beast on an unsuspecting public. The C905 is a Cybershot camera phone with a pretty impressive “trick” up its sleeve. In addition to the Herculean megapixel count, the new flagship SE Cybershot phone sports GPS, HSDPA, ActiveSync Exchange support, Wi-Fi, an accelerometer, 2.4″ QVGA screen, and much more. No word on pricing, but expect this bad boy already announced on the 17th of June, alongside a host of other upcoming SE phones. One of the lesser known features of the iPhone 2.0 (and 2.0.1) firmware is its ability to play .wav files. If you're thinking "Big whoop, what do I need .wav files for? ", then you've never used a voice over IP phone service. Comodo released a new version of Comodo Firewall Pro 3 - it’s clearly one of the most popular firewall programs for Windows XP and Vista. Comodo Firewall Pro 3 is absolutely free with no strings attached. The company makes money from selling digital certificates and use their firewall product to build a brand. Comodo Firewall 3 features a new Clean PC Mode that takes a profile of your computer and all the installed software and registers them as safe. Any new software applications that you install or runn will be denied access to the PC unless you grant permission. That's the last step in the procedure to configure Outlook for Gmail. Now you can use the CTRL-1 keyboard shortcut to go to the Mail view. Next press F9 to send and receive all mail. This downloads messages from Gmail. 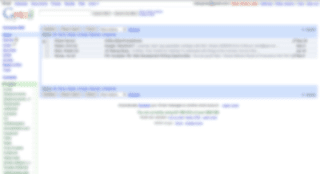 Seeing them in the Inbox will show that you were able to successfully configure Gmail as an Outlook email account. Digg has just released a new extension for Firefox 3 that integrates whatever page you're on with the popular social news site. Included are handy things like a real-time pop-up window that notifies you when friends have dugg something, or when new stories hit the front pages of various sections. There's also a toolbar that can be toggled on the top of your browser which shows you if a page you're on has been submitted to Digg along with options to submit it yourself or read the user comments. The extension only works in Firefox 3 but joins a previously existing offering that displays most of the same information from a drop down command menu. The newer version has a much more svelte look that can be toggled to exist off-screen with a click of a button. One thing that's missing, and something I hope gets added in a future version is a way to get real-time notifications when certain stories hit the upcoming section. As I've ranted about before, the upcoming section is harder to parse than it used to be, even with the inclusion of the recommendation engine. Being able to pick out stories you want to hear about based on what site they're coming from, or with certain keywords would make it an extension worth keeping installed. Digg's creator Kevin Rose has put together a quick screencast of the toolbar in action, which I've embedded below. Digg Firefox 3 Extension from Kevin Rose on Vimeo. Beijing 2008 Olympic Games, which is to be held from August 8-24 2008, will be available on YouTube for 77 territories where digital rights have not been sold, or have been acquired on a non-exclusive basis. This was conveyed by International Olympic Committee. Come August 22 and Indian cell users will finally be able to get their hands on an ‘official’ iPhone in the country with leading service providers Vodafone and Airtel launching the touch-screen handset on that day. “iPhone has been an iconic technological revelation of this year,” Bharti Airtel’s president for mobile services, Sanjay Kapoor, said on Wednesday in a statement. When contacted, Vodafone Essar officials were quick to point out that they would also be unveiling the second-generation iPhone on August 22. However, both the firms refused to divulge price details. as cheap as in the US since the Indian telecom market is already subsidised with each call costing only a few paise as against much higher tariffs in the American market. Still, telecom analysts expect the Apple-made iPhone (which retails in the US at $199 – about Rs 8,300 – for 8Gb version and at $299 – Rs 12,500 – for 16Gb) to give other existing cell-manufacturers a run for their money. 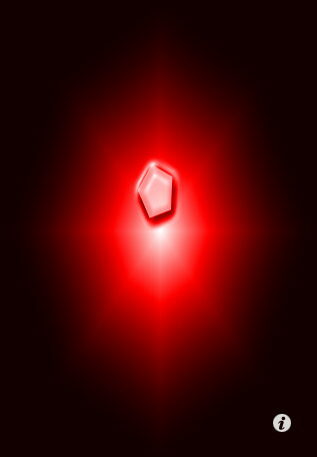 Armin Heinrich has released an app on the iTunes App Store called I Am Rich [App Store]. The $999.99 application displays a red icon on your iPhone and iPod touch to remind others that you were able to afford it. As the developer notes, "it's a work of art with no hidden function at all." Search engines are the most important source of traffics for all blogger, without a good place in Google majority of Blog will never be visited. This is why you mast take same time to optimize your blog by using same SEO (search engine optimization) tips. Blog dedicado a la ayuda de bloggers y webmasters. Con tutoriales, trucos, plantillas para blogger, web 2.0, diseño, tecnologí­a, recursos en linea y curiosidades de la web. Search Engine Land is a hub for news and information about search engine marketing, optimization and how search engines work for searchers. talk about Google, SEO, and Gadgets. But mostly Google. Pronet Advertising is a weblog about Neil Patel's personal experiences in online marketing. The small business guide to search engine marketing. Articles from the top names in the industry cover topics including SEO, PPC, SEM, blogging, social media, adsense, adwords, Google, Yahoo, MSN and Internet marketing. Andy Beal discusses news from the search engine industry, blogging, rss and other internet marketing. Search Engine Watch provides news and tips about search engine marketing (SEM), search engine optimization (SEO), and searching the Web. We offer daily news & analysis of the search industry, including the latest on Google, Yahoo, Microsoft and Ask. Ecommerce articles on internet retail, online marketing, social media, SEO, and killer ecommerce tips from Elastic Path Software; Featuring the Get Elastic ecommerce podcast - conversations with ecommerce industry insiders. SEO Scoop is a popular search engine optimization blog that focuses on SEO tips, theories and news. I have to admit that I’m rather stunned at the number of hotels I’ve stayed at recently that are now allowing you to print your boarding pass for your flight from a walk up kiosk FREE OF CHARGE! This is from the same industry that charges $3.50 for a bottle of water in your room and a $1 per page for an incoming fax ($4 per page if you stay at the downtown Chicago Hyatt). It’s easy! You walk up, click the mouse to kill the screen saver and there is already a page up with links to most if not all of the airlines. Click on the one you want and check in for your flight. Print your boarding pass on the attached laser printer and walk away. Don’t get me wrong, I’m not complaining and actually appreciate this service tremendously. I’m just shocked that they don’t try to charge for it (yet). If your hotel doesn’t have this yet, fill out those little survey cards in your room and ask, why not? My last 3 hotel stays offered this. Mobile TV just doesn’t seem to die. For years now, I’ve heard from countless companies that they’re going to provide the “real” Mobile TV experience that will totally change the way we enjoy television. All the while, I’ve laughed to myself wondering if these companies will ever realize that time has already passed them by. To prove my point, yet another Mobile TV solution has died. According to published reports in Germany, an effort by Mobile 3.0 to offer Mobile TV services was pushed aside due to its desire to support paid TV and work over DVB-H.
Didn’t Mobile 3.0 get the memo? Mobile TV is dead in the water. Let’s figure out why it’s dead, shall we? First off, the Slingbox has made it abundantly clear to all of us that Mobile TV doesn’t really make much sense. If I can watch all of my home programming no matter where I am, for free, with the help of an Internet connection and laptop, which is almost always with me, why would I pay for, or even use, a Mobile TV solution? Oh, and what about Hulu and the rest of these video services that allow me to watch practically any show I want? Sure, it may not be the same feeling, considering I’m streaming or buying the show after it has already aired, and it requires that same broadband connection, but who cares? At least I’m getting something out of it from a reputable source instead of paying more for something I barely want to watch. And perhaps that’s where the biggest issue comes along for Mobile TV: no one wants to pay. More often than not, Mobile TV services will say that you’ll need to pay to use it. Why would I want to do that? You mean to tell me that in order to watch your crappy programming, I’ll need to pay a set fee for use of the service, on top of the fee I pay to have Internet access? Sorry, but that doesn’t seem quite right to me. I should also point out that most of these Mobile TV services seem to forget that battery concerns are real, user interfaces really do matter, and more often than not, we don’t really want to watch TV on a junky little cell phone screen. More companies will undoubtedly crop up and claim to have the solution to making more people use Mobile TV, but none will work. We don’t want Mobile TV because it doesn’t make any sense. And because it doesn’t make any sense, it’s failing – miserably. The new Ideapad S10, scheduled to become available in October, expands Lenovo’s notebook family in the entry-level market and continues a trend that has begun with Asus’ Eee PC. Don’t expect fancy features besides its compact size (10.2” screen) as well as a light weight (just over 2 pounds), but, on most days, basic functionality is all what you need anyway and a device such as the S10 may be all you need. There is Wi-Fi, a webcam, two USB ports, a 4-in-1 multicard reader, an ExpressCard slot, an 80 GB or 160 GB hard drive, 512 MB or 1 GB of main memory and Windows XP. A real netbook, of course, also needs Intel’s Atom processor these days, so it is no surprise that the S10 in fact will come with an Atom processor. So far it is unclear whether this will be a CPU based on the Diamondville or Silverthorne core. 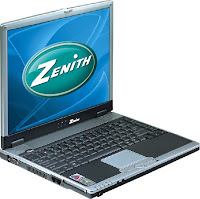 However, due to the high price of Silverthorne CPUs and the relatively small benefit of additional power consumption appears to be prompting netbook manufacturers to use Diamondville Z-series processors, while Silverthorne chips are more likely to be used in (more expensive) mobile Internet devices (MIDs). Prices for the 1”-thin S10 will start at $399. There are several relatively easy ways to make some money from your blog such as using Google AdSense, selling private ad spots, and writing reviews. The downside with using Google AdSense and trying to sell private ad spots is your blog must have enough traffic to generate the clicks or page impressions. My guess is most of you aren’t getting hundreds of visitors to your blog each day (not yet at least) so you aren’t making much money from those methods of advertising. So where does that leave us? If you haven’t heard of writing reviews on your blog to generate a decent stream of income then you might want to check it out. How does writing reviews make me money? It’s actually easier than you think. The first step is to sign up with a blog review network and submit your blog. Some of these companies have rules in place like the age of your blog (at least 6 months old, etc), where it’s hosted (blogspot, wordpress, etc), and page rank. They try to weed out spam blog sites which are usually not very old or of good quality. Make sure you read the fine print before you spend your time applying only to find out you don’t qualify. Assuming your blog is approved, you can now browse the review marketplace looking for reviews to write about or another option is to wait for someone to approach you. I recommend you be the aggressor and sift through the marketplace so you can start making money asap. Once you find a review you’d like to write about and meet the criteria to qualify, just take it and begin. You’ll create your blog post and follow the requirements of the reviewer, then submit it for approval. After it’s approved, you get paid. Pretty easy huh? What blog review networks do you recommend? There are several companies out there who pay you to write reviews on your blog but only two of them are worth talking about in my opinion. They are Sponsored Reviews and Pay Per Post. Sponsored Reviews is great because they allow you to search for advertisers directly and bid on jobs. Their bidding system allows you to negotiate rates with advertisers in order to maximize your earnings. They also provide the largest payout of all review networks by only taking a 35% commission for their services. That means you can earn anything from $10 to 500+ for each review. Their user interface is one of the better ones out there and the only drawback to their service is the lack of advertisers. I’m sure it will continue to grow it’s advertising base so they are at least worth a look. One other perk is their affiliate program. Earn up to $175 per Advertiser and $90 Per Blogger referred. Payouts are based on money spent by the advertiser and money earned by the blogger. See the chart below for payouts. Their average advertiser spends several hundred dollars so most referrals will be worth at least $25 (according to their website). You’ll then want to put one of their ads on your site or a text link to start taking advantage of their referral bonuses. Can’t hurt to get an ad on your blog right? Get started with Sponsored Reviews now. Next up we have PayPerPost which is another great pay for review site. They offer the largest sponsored blogging network with the greatest amount of offers along with a forum where bloggers can post questions, etc. They also pay you a $20 bonus after you complete your first review post. The review post is easy…you just need to write about PayPerPost and they give you $20. Pretty quick way to make a quick $20. One bad thing I noticed while browsing their marketplace is the restrictions on a few of the reviews. For example, you couldn’t write a review and post it on blogspot.com, wordpress.com, or myspace.com and you must be located in North America, Asia, or Europe only. That doesn’t mean if you have a blogger blog or wordpress blog using your own domain or hosted on your own site you can’t write a review. All I’m saying is make sure you read the review details carefully so you don’t waste your time writing a post only to discover you won’t get credit for it. They also have a scoring system which might be a barrier to you on some post reviews. It’s usually the higher payouts that are looking for nice reviews from established high ranking sites. They utilize Google Page Rank and Amazon’s Alexa rankings to factor in what your site’s “score” will be. PayPerPost also offers a referral affiliate program with some pretty nice payouts as well. You will get paid $15 for each referral once the referees first blog posting is reviewed, approved and then finally accepted 30 days later. This means they need to go all the way through the process in order for it to be a legit referral. Again, not a bad payout for just putting a banner or link on your blog. It’s cool because you can see which referrals you currently have signed up and the total amount you potentially could earn (assuming they convert all the way mentioned above). If I were you, I’d sign up for both Sponsored Reviews and PayPerPost and see which one works best for you. There is no rule preventing you from having two accounts and writing reviews from both sites and you can promote whichever you choose. That’s what I did and it also gives you a bigger selection of available reviews to write. After you sign up, make sure you get some affiliate banners on your blog so you have another avenue to make money. Just imagine if you write a dozen or so reviews a month and get a couple referrals. You could easily earn a few hundred extra bucks a month for some pretty minimal work! TeamViewer is the fast, simple and friendly solution for remote access over the Internet - all applications in one single, very affordable module.TeamViewer is a simple and fast solution for remote control, desktop sharing and file transfer that works behind any firewall and NAT proxy. To connect to another computer just run TeamViewer on both machines without the need of an installation procedure. With the first start automatic partner IDs are generated on both computers. Enter your partner's ID into TeamViewer and the connection is established immediately. With many thousand users worldwide TeamViewer is a standard tool to give support and assistance to people in remote locations. The software can also be used for presentations, where you can show your own desktop to a partner. TeamViewer also is VNC compatible and offers secure, encrypted data transfer with maximum security. TeamViewer is completely free for private use.